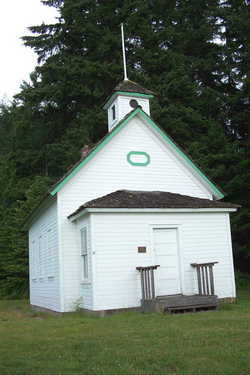 A small community cemetery established in 1903, when 5 acres were purchased for a school and 2 ½ acres at the rear of the school was set aside for a cemetery. Most Blue Mountain area residents paid for lots by working on the improvement of the cemetery. Brothers, Fred and Edward Sutter were the first two people buried in the cemetery. 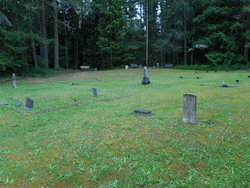 Clallam County Genealogy Society has a plot map and an alphabetic list of 123 burials from 1903 to 2007. They also have transcriptions of Clallam County records, with birth dates, death dates, and when known, siblings, parent names and birthplaces.